Dear Cart2Cart clients! 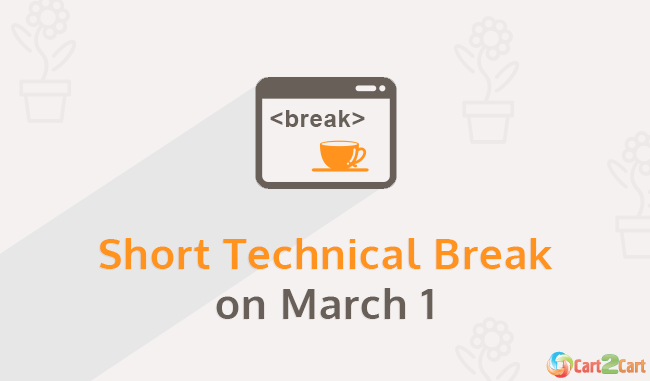 Due to a planned technical maintenance, Cart2Cart website will be unavailable for a short period of time from 9:00 a.m to 9:05 a.m (GMT +2) on March 1. Please, accept our apologies for temporarily inconveniences.